Located in Beverly Hills, one of the most beautifully designed towns in Southern California, this 8,000-square-foot single-family home was conceived with simplicity of form and materials. It recalls the tradition of architectural elegance associated with Southern California homes of the 1920s and features four bedrooms, 5.5 baths, a two-story living room with library loft, galleries, office and wine cellar. 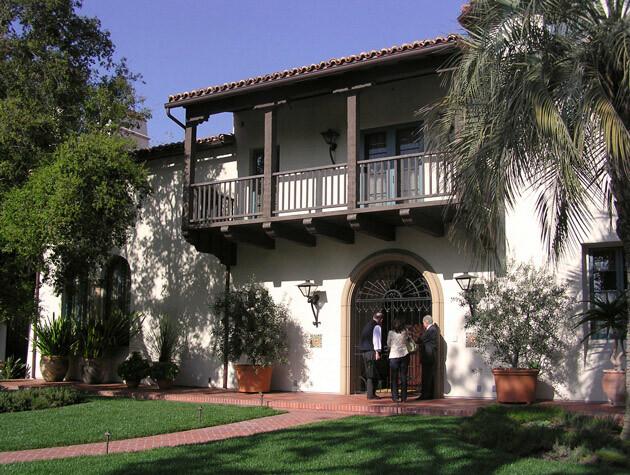 As a classic architectural example of the Spanish Revival style, the residence was designed with heavy timber beams, tiled roofs, loggias, five fireplaces, an extensively landscaped courtyard and a carefully sited detached three-car garage with a studio apartment above.